We are thrilled to announce that we are expanding our line of products to new watercolor brushes. The brushes which will soon be available for sale are premium handmade brushes. 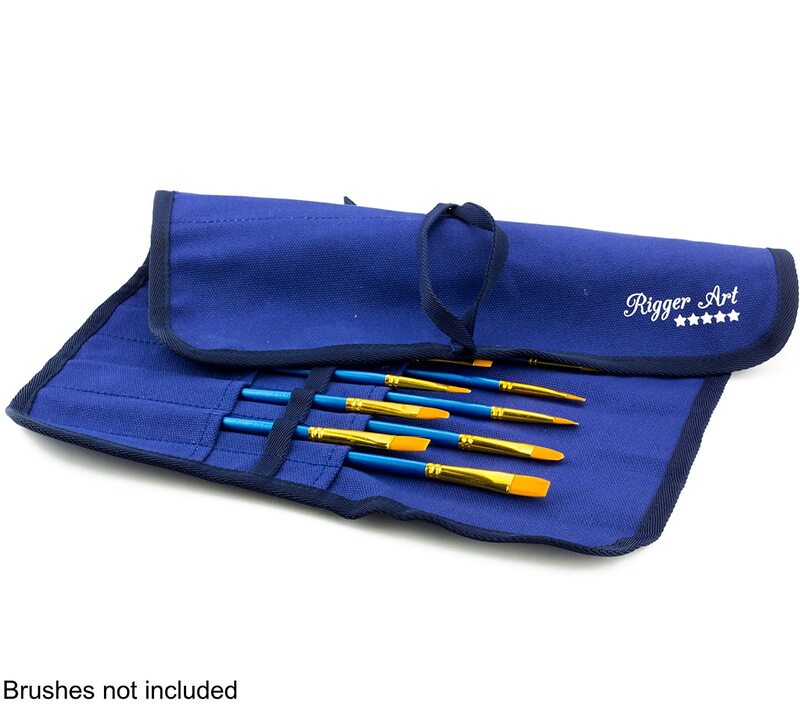 The brushes will come in a set of six, packed together, and will cover most of the watercolor painter’s needs. From tiny precise rigger shape to wide hair brushes.We hope painters who liked our watercolor folding palettes would enjoy using them and painting with the brand new brushes. UPDATE – Brush set has arrived! It is now part of the Novice Painter Set – Now at a Discount Sale at Amazon. All the brushes we intend to bring will be synthetic nylon hair. We at Rigger Art know there are weasel hair and mink, sable and others. If any of you would have seen how these hairs are being retracted from the animals you would not want to use these brushes anymore. We love animals, and couldn’t stand the thought of the pain and cruelty involved with farming them for their hair. So we decided not to order any of these natural hairs for our brushes, all our brushes would be synthetic. It’s good enough for 99% of the painters, and for those 1% who must use sable or mink or badger, they can buy them anywhere else but here. There are painters who like to paint with long brush handles and those who prefer with short handles. 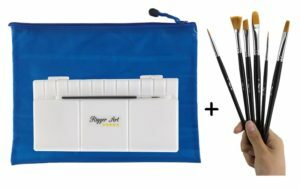 We will have both in the future, but for the beginning we thought of all the art students and hobbyist painters, most of them carry their brushes in their paint gear bags, and short handle brushes are easier to carry around. They are convenient for plein air painting, or for art classes and workshops. 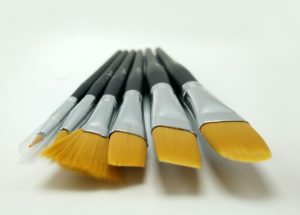 These brushes are suitable for Oil, Watercolor, Acrylic etc all kinds of painting. The brush set includes 6 brushes + palette + carry pouch! So you can paint as you go, carry your items safely with you. This entry was posted in Painting Brushes and tagged painting brushes, Rigger Art Brushes, watercolor brushes by RiggerArts. Bookmark the permalink.